Vijay's Puli team is upset over some of the photos from the sets leaking on the net. Photos of the film’s main lead, Vijay made it to the internet without the knowledge of the team members, say sources. 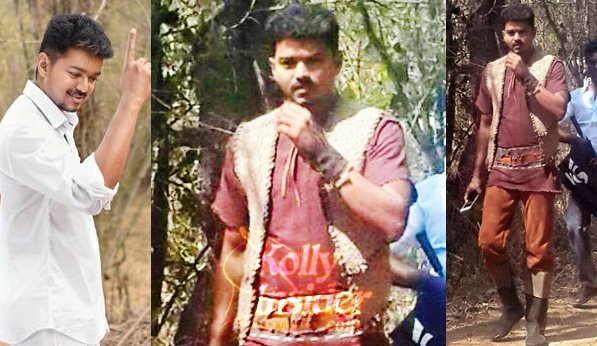 Actor Vijay's still from the shooting spot of his upcoming film 'Puli' directed by Chimbu Devan has been doing the rounds on the internet. Looks like the entire team is irked with the photo of the star actor being leaked. After protecting any photos from being leaked for nearly six months, the entire Puli team is in shock and Vijay is said to be highly frustrated because of this misfortunate act. An annoyed Vidyullekha who is part of the cast has revealed that the team is highly disappointed and irritated. It is also said that the team is trying to find out how the picture got leaked. An irked Vidyullekha tweeted, "Highly disappointing and irritating to see leaked photos of #Puli ... Entire team is very very upset. Getting to the bottom of this asap. They had planned a nice first look 4 everyone. Heart sinks when we protect it for 6 months and in the last minute this happens." The team is currently stationed at Thalakonam and will be wrapping up the schedule on April 30th. Being directed by Chimbu Devan, the film also stars Shruti Haasan, Hansika, Sridevi and Kiccha Sudeep in important roles. 'Puli' is touted to be the most expensive film in actor Vijay's career.